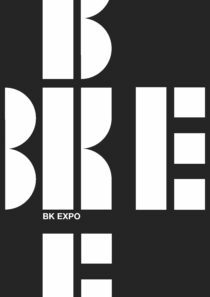 Branding and signage of the BK EXPO exhibition space at BK City, Faculty of Architecture and the Built Environment, TU Delft Technical University. Typeface: AMSTERDAM STENCIL ©Graphic Language. 2015.